The 2019 Officer Training School and Family Orientation will be held on Tuesday, April 23, 2019 at 6:30pm at HEATH HIGH SCHOOL (new location this year!). This is a great opportunity for youth who have been selected as an officer to learn more about their office as well as for those who are interested in learning more about an office they wish to run for in the future. The Family Orientation is will allow you to hear about important information all families should know about the Licking County 4-H Program and also offers the opportunity for you to ask questions about the program, projects or events. We hope to see you there! If you would like to order Meat Chickens or Meat Ducks to show at the Hartford Fair, orders are due to the Extension Office by Friday, May 3, 2019. Meat chicken order forms can be found here and are $31.00 for a set of 25. Meat duck order forms can be found here and are $15.00 for a set of 5. Members from the same family may share a set if they prefer, otherwise each member should purchase their own set. Friday, April 26th is the deadline to register for Licking County 4-H Mini Camp. Mini Camp will be held May 10-11 at 4-H Camp Ohio. This is an ideal camp for young campers who are in their last year of Cloverbuds or in their first or second year as a project member. This one night camp gives your youth a “taste” of the camping experience without the commitment of a five day camp. We have found that youth who are apprehensive about attending camp and come to mini camp, enjoy summer camp more and are less likely to feel homesick because they are already familiar with the facilities, rules and routines. Registration information can be found here. Licking County’s 4-H Summer Camp will be held June 13-17, 2019 at 4-H Camp Ohio. Super Session Information: This document includes super session descriptions and a form that youth can fill out to help you register them for their super sessions. Instructions on how to register a youth for camp: Please read through these instructions thoroughly before you register your children for camp. Should you need help with registration, please contact Adrienne at anderson.1410@osu.edu for assistance. Registrations are due by May 17, 2019. Late registrations will be accepted if there is still room from May 18-24, 2019 with an additional fee. We have filled camp over the last two years and have had a wait list. Please register your child early to ensure them a spot. 4-H Summer Camp is also open to non-Licking County 4-H members. 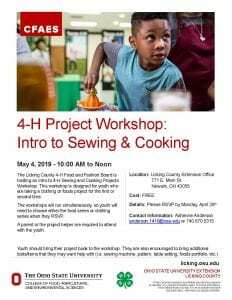 Since these participants do not have access to 4hOnline, they will need to complete the paper registration found here and turn it into the Licking County Extension Office with payment. We will register them within the system as we receive their registrations. Super Sessions have a limit to the number of youth that can attend and fill on a first come, first served basis. Once a session is full, the system will no longer allow you to select it. You will need to make a different selection for that session. It will be helpful to you to have your child fill out the paper session form by ranking their choices. Participants may not take the same session multiple times. For example, a member cannot take Creeking/Stream Study for more than one session. Pay attention to sessions that are listed as double or triple. If you select a double or triple session, you will need to select the appropriate option from the second/third session for that day that reflect the fact that the participant will be in a double or triple session. For example, if you select 114 Zip Line & Climbing Wall, you would not select a 200 or 300 session. You would select “Participating in a session continued from 9:15 (High Ropes, Pistol, Zip Line) for both the 200 and 300 sessions. Look at the sample in the instructions to help you with this. Some session have age restrictions. Please do not sign up for a session if your child does not meet the age requirements. The 4hOnline system cannot accept online payments. You will need to print the final confirmation page and submit it to the extension office with your payment WITHIN ONE WEEK of submitting your registration in order for us to hold your spot. If payment is not received within one week, you will forfeit your child’s spot to another camper. Camp scholarships are available to Licking County 4-H Members. The application is due with your registration confirmation page to the Licking County Extension Office by 4:30pm on May 17, 2019. NO LATE APPLICATIONS WILL BE ACCEPTED. The application can be found here. Children of 2019 Licking County Farm Bureau members can take advantage of a $50 discount off their camp fee. You must have a valid, 2019 membership and must supply that membership number in the registration. This discount is only valid for the children of active members. It cannot be another family member’s membership (i.e. grandparent, aunt/uncle, friend, etc.). The system does not automatically remove the amount from the final camp cost. Please make note on your confirmation page and write your check for the appropriate amount ($120 for those registered by the deadline). The cost of camp was set to be $200 per member. Thanks to the generous support of the Granville Kiwanis and the Licking County Farm Bureau and the sponsors of the Farmer’s Share Breakfast, we received enough support to take $30 off every camp registration and $20 off every counselor’s fee. We are overwhelmed with the wonderful support and are so excited to be able to offer camp at a discounted rate this year! Should you have questions about the Camp Scholarship Application or other questions about camp, please contact Lisa at mccutcheon.46@osu.edu. 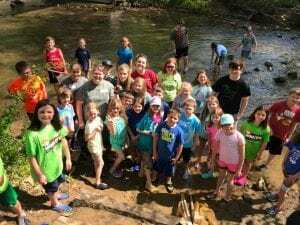 Cloverbud Day Camp will be held on Saturday, June 15, 2019 at 4-H Camp Ohio. Day Camp is open to both youth enrolled in Licking County 4-H as Cloverbuds and those who are Cloverbud age. Youth going into kindergarten in fall of 2019 up through current 2nd graders are welcome to attend Cloverbud Day Camp. 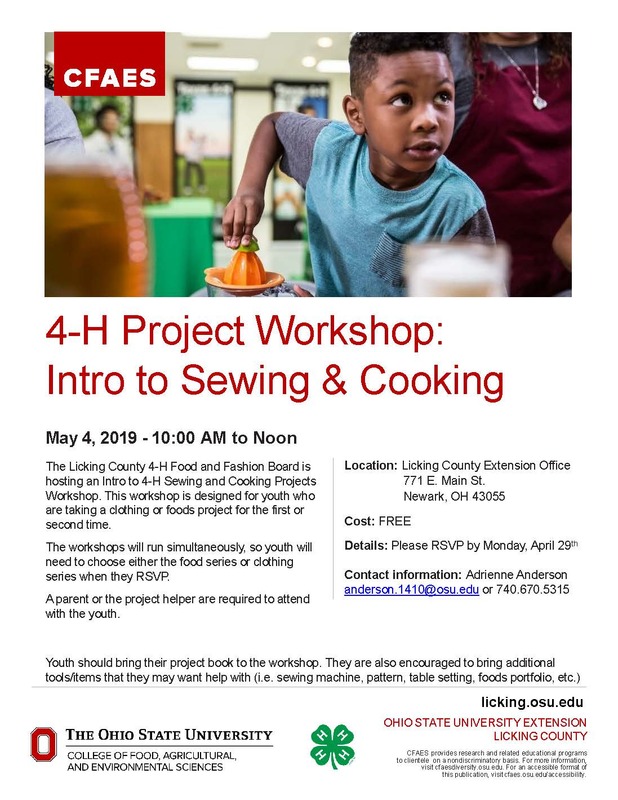 Registration form can be found here and is due with payment (cash or check only) to the Licking County Extension Office by May 17, 2019. Bring the World Home through Ohio 4-H! Looking for some new fun and educational excitement this summer? How about hosting a boy or girl from Japan in your home for 3½ weeks? (July 24 – Aug. 18) The Ohio 4-H International Program is offering hosting opportunities to 75 families around the state, and Japanese youth on the other side of the world are anxiously waiting to learn who their new family might be! Host families should have their own child aged 10-15 who will serve as the main host sibling. Families will be matched with a Japanese youth of the same gender and approximate age. Special trips and activities are not required. The focus is on everyday family life. Host families provide lodging, meals, and any family activities. Medical insurance is provided. Youth bring money for personal spending (gifts, souvenirs, etc.) For more information, please visit Ohio 4-H International or contact Mary Lynn Thalheimer at thalheimer.1@osu.edu or 614-247-8162. Play ball! Bring your 4-H club, families and friends to 4-H Day at Bill Davis Stadium on May 11 with the OSU Baseball Buckeyes. You can take a behind-the-scenes tour of the locker room, and kids can be “Anthem Buddies” and join their favorite player on the field for the National Anthem. General admission tickets are just $5. Find all the details at go.osu.edu/4hbaseball. Shelby County Extension will be hosting a two-day educational clinic for youth horse exhibitors and their families. 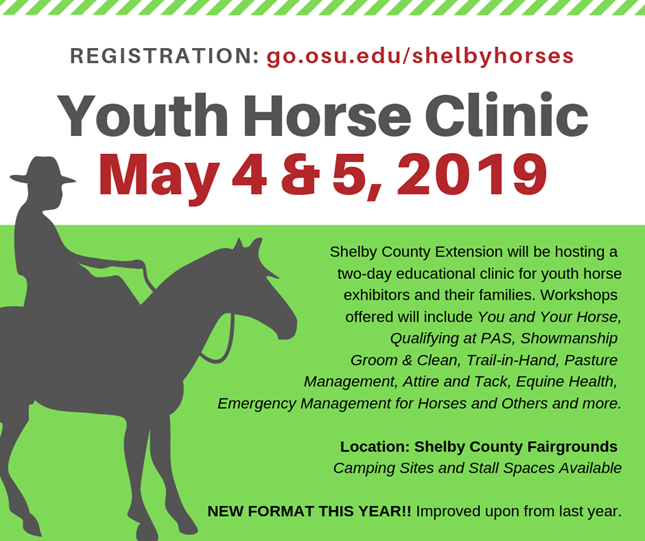 Workshops offered will include You and Your Horse, Qualifying at PAS, Showmanship, Groom & Clean, Trail-in-Hand, Pasture Management, Attire and Tack, Equine Health, Emergency Management for Horses and Others and more. Location: Shelby County Fairgrounds. 655 S. Highland Ave. Sidney, OH 45365. Camping Sites and Stall Spaces Available. NEW FORMAT THIS YEAR!! Improved upon from last year. Visit go.osu.edu/shelbyhorses for registration forms. Questions? Contact Shelby County Extension at 937-498-7239.